Dean of Faculty of Economics and Business on Thursday, August 23, 2018 students of Economics and Business Faculty who will join student exchanges odd semester for six month forward. On this occasion eight of IPIEF students will be officially released by Rizal Yaya, S.E., M.Sc., Ph.D., Ak., CA Dean Faculty Economics and Business. 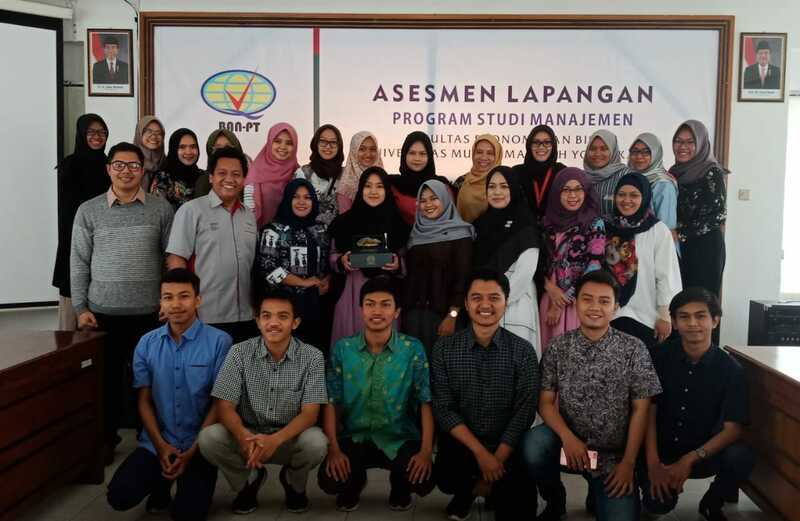 There are names of IPIEF students who will join student exchange : Hafsah Fajar Jati and Inas Latifah (University of Asian, Taiwan), Shinintya Nur Filailly and Iman Agung Ramadhan (National Cheng Kung University, Taiwan), Dedy Tri Hermawan (Tamkang University, Taiwan) and 3 students with the heading to Malaysia International Islamic University, Malaysia are Wahyu Galis Pramita Siwi, Alfath Shifa Ghifara and Muhammad Afiq Qurniawan. The one of student exchange participants Alfath Shifa Ghifari argue that her motivation joining student exchange because to lessons and find the new experiences with studying in other country, have more insight and deepening on Islamics economics study. In fact, the premier goal of entering IPIEF FEB UMY is to join student exchange to get goals of the international class students.